Plug in ZUS, Install free ZUS App, Connect, Done! ZUS automatically remembers where you've parked your car when your engine turns off. When you need to find your car, simply open the ZUS app. Further, it is outdoor-friendly. No cellphone signal is needed. ZUS' proprietary ElegantShineTM lighting system provides great usability in dark environments. ZUS detects what device it's charging and delivers the maximum charging output. ZUS is able to fully charge 2 iPad Airs within 3.75 Hours, 2X faster than a normal USB car charger. 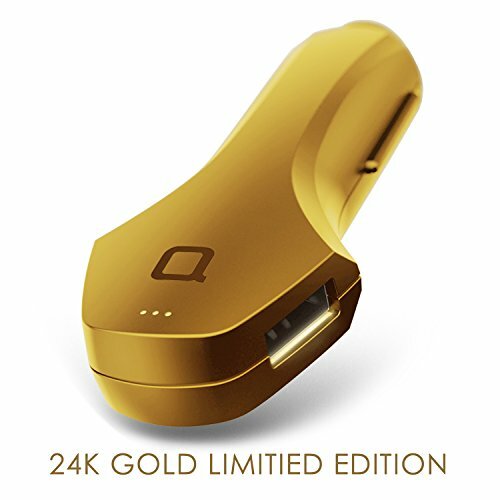 24K Gold plated car charger that is one of a kind. If you have any questions about this product by nonda, contact us by completing and submitting the form below. If you are looking for a specif part number, please include it with your message.